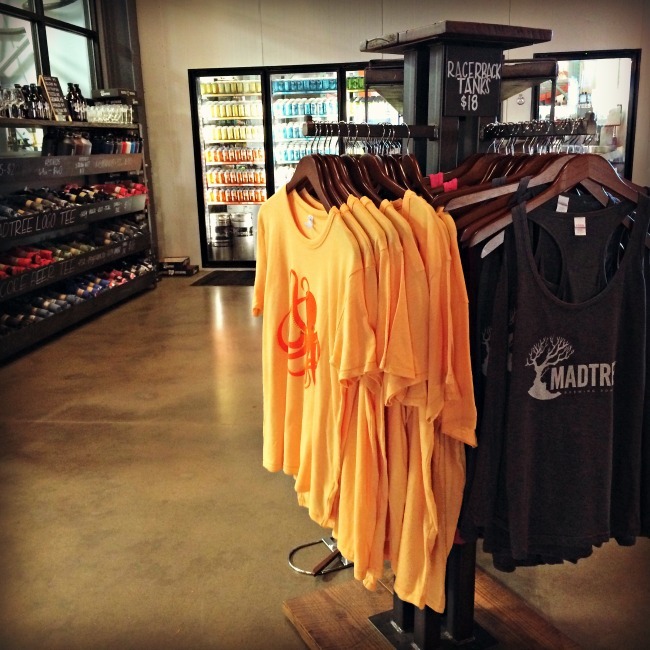 Madtree Brewing and Catch a Fire Pizza moved into their new taproom earlier this year, and their space is fantastic! 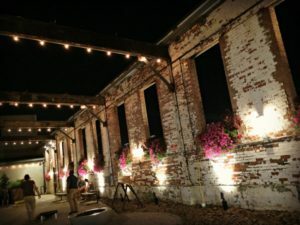 From the tap room to the beer garden to the private party space to the brewery, this place is the sort of place anyone would want to hang out at. And not just two legged folks…dogs are also welcome in the outdoor section of the brewery. Kids are also welcome, as a matter of fact there are coloring sheets right inside the door so that kids can design their own can. 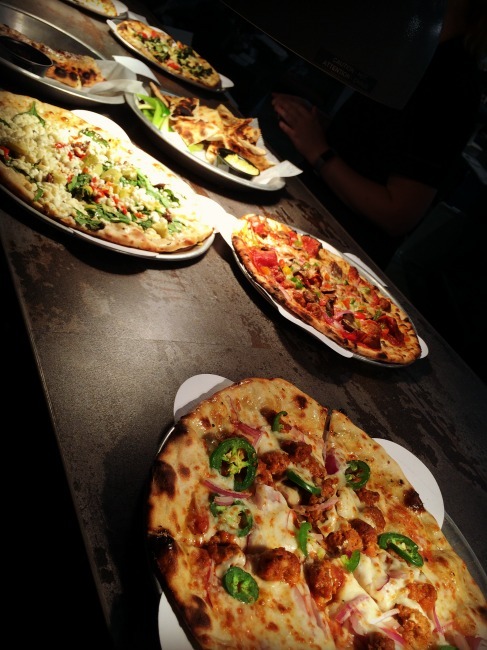 I love Madtree’s brews, but we love the Catch a Fire pizza just as much! 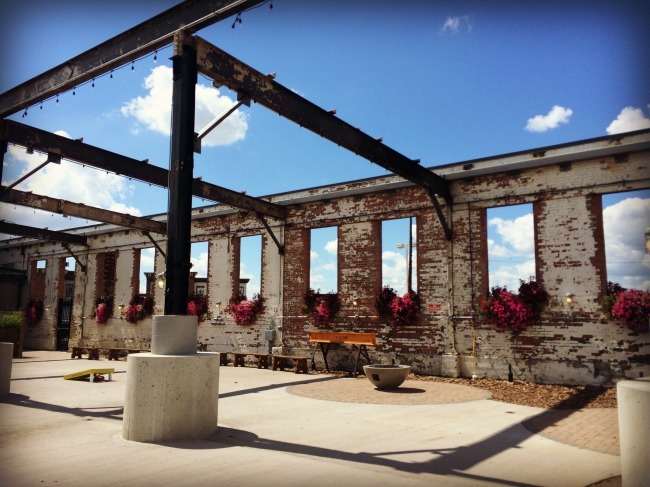 There are not too many breweries in town that have a restaurant right there inside the brewery for your dining convenience. And Catch a Fire is no run of the mill pizza joint. 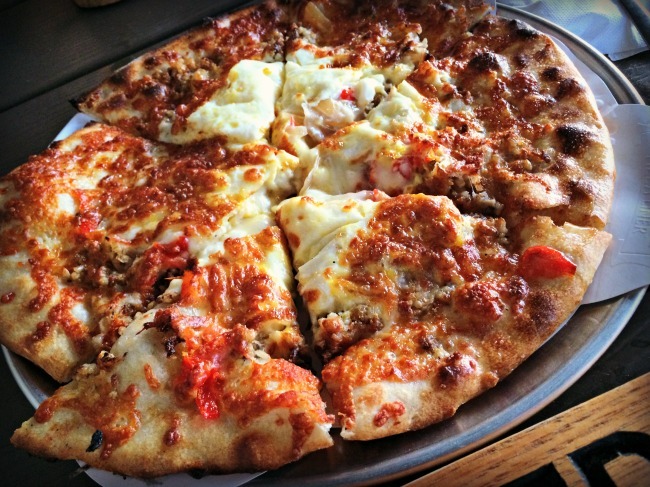 They use fresh ingredients and combine them to create some really unique pizza pies and then wood fire them to perfection. 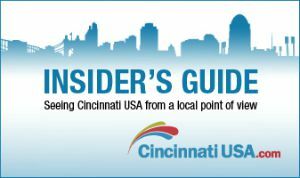 Try the Goetta and Egg Pizza – at least once in your life. It is so delicious, and something you can only find in Cincinnati at Catch a Fire! 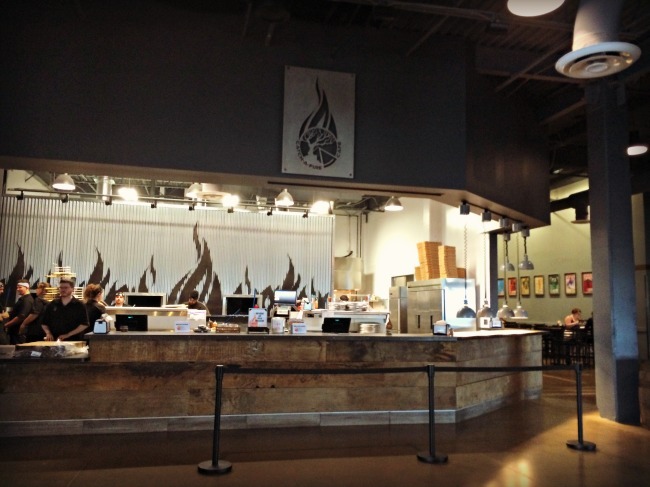 Catch a Fire also offers catering and a mobile cafe. You can pair your pizza with your favorite beer. Madtree has a great selection of locally made craft beers, and if you are not sure what to drink ask for some suggestions, or try a flight of several different brews! 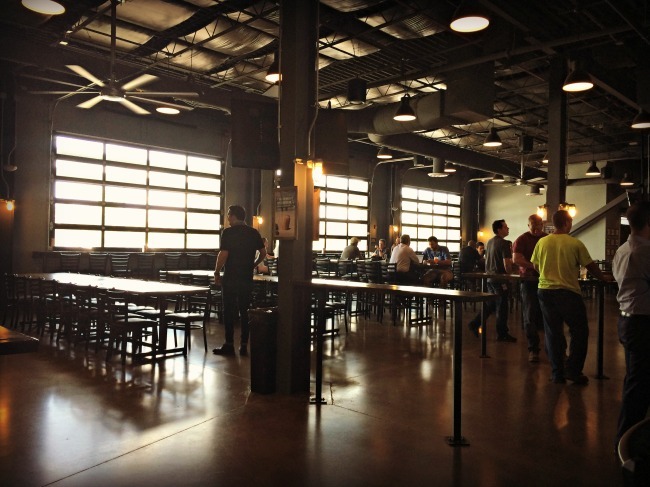 I really love this place for hanging out, it really is so much more spacious than their old taproom. I am especially smitten with their use of the outdoor space. 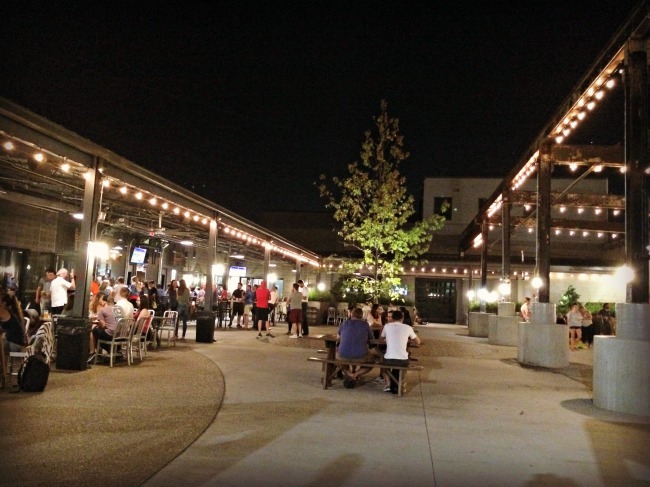 It mixes new with old and provides lots of space for people to spread out and have fun. 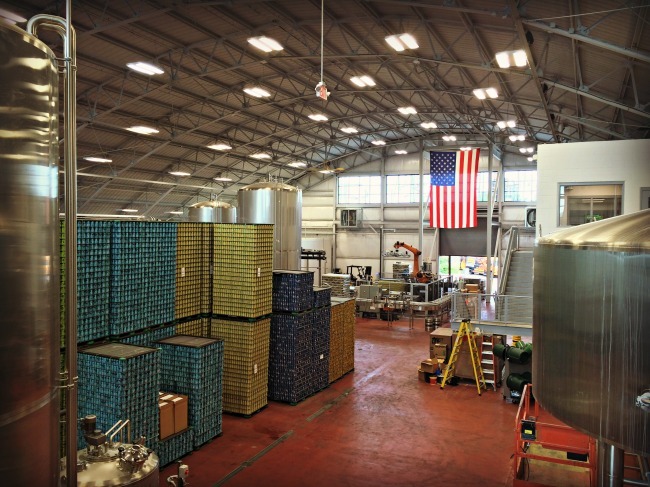 I also love the spacious indoor space that has huge garage doors that can be opened on nice days. Madtree is such an aesthetically pleasing taproom, which is a nice bonus, especially when paired with the great beer and pizza. 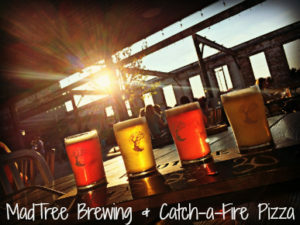 Madtree Brewing & Catch a Fire Pizza are located at: 3301 Madison Road in Cincinnati.